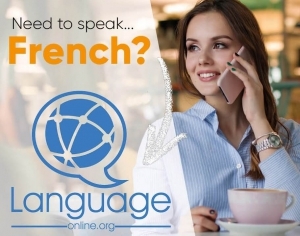 Salut, and welcome to our lesson about French personal pronouns at Language Easy! It always comes handy to be able to tell you from me or them. So, how do we do this in French ? What are French personal pronouns? Que sont les pronoms personnels en français? The personal pronouns (les pronoms personnels) come in replacement of their referent without any particular intention but to avoid a repetition, or to directly designate entities or persons. They have various forms according to their grammatical role in the sentence (subject, object, reflexive); in addition they also vary according to the grammatical person and the gender of their referent. According to whether a French personal pronoun is used directly with the verb or if it is isolated in another part of the sentence, we distinguish its cunjunct forms (formes conjointes) and its disjunct forms (forme conjointe), respectively. Paul visitera Paris demain. → Il va la visiter demain. Paul will visit Paris tomorrow. Je lui ai bien sûr conseillé de la découvrir en soirée. I obviously advised him to discover it during night time. Cependant, lui, il préfère travailler en équipe. However, he, he prefers teamwork. Let us now study all different types of pronouns and explain how they are used. Subject personal pronouns (les pronoms personnels sujet) come as the subject of a verb. They are a cunjunct form and are placed before the verb, as any noun would. Bien sûr, je les y encourage. Indeed, I encourage them do do so. As I said before, they come before the verb, with the exception however of the interrogative mood that commands the inversion of the verb and the subject. Apprennent-ils vraiment le français ? Are they really learning French ? Of course you are surely already familiar to the notion of subject personal pronouns, but even so there are some subtleties about French personal pronouns that I would like to draw your attention to, and particularly if you are a native English speaker. “You” translates as Tu at the 2nd singular person, while it translates as Vous at the 2nd plural person. It’s usually a bit complicated at first for English speakers to remember this at the beginning, but it’s just getting used to it after all ! By the way, did you notice that I didn’t say « “you” translates as vous when talking to more than one person » ? It’s because in French, we can address a single person as a plural. We show respect to a person (man or woman) by addressing him with vous. That action is called vouvoyer (to say « vous »), as opposed to tutoyer (to say « tu »). The limit between tutoiement and vouvoiement is a bit blurry. As an illustration, I used to say “tu” to my first boss, and in some families, children address their parents with “vous”. This is a matter of usage and of how comfortable you are feeling with this person ; furthermore it’s also a matter of what you feel that he or she would accept from you. If you are not sure, use vous and wait for an invitation for tutoiement, it might just happen! And it’s better this way than to risk to offend your interlocutor. Bonjour, je m’appelle Lionel. Et vous ? ello, my name is Lionel, and you ? – Jean-Pierre. Mais vous pouvez me dire “tu“. – Jean-Pierre. But you can say “tu” to me. – Très bien, Jean-Pierre, enchanté de faire ta connaissance. – Very well, Jean-Pierre. nice to make your acquaintance. As a matter of fact, when people get angry, they often to switch from “vous” to “tu”, as the intention of respect fades away. “They” translates differently according to the gender of the referent : for a group of female entities, it´s Elles, but Ils for a group of male (or mixed) entities. It’s a new thing indeed, but simply think of it as the regular plural of the singular forms il and elle and it´ll be easy to remember. The direct object complement (COD, complément d’objet direct) usually goes after the verb, however if it’s replaced by a direct pronoun, then that pronoun goes before the verb. I’m eating an apple / it. Nevertheless, if we’re using the imperative (as in giving the order to eat the apple) then it goes after the verb, and in the case of “me” we use the tonic “moi” instead. Mange la pomme !→ Mange la ! Eat the apple / it! The indirect object complement (COI, complément d’objet indirect) usually goes after the verb and is introduced by a preposition (generally à or de), but if it’s replaced by a direct pronoun, then that pronoun goes before the verb and the preposition disappears. Je parle à Marie. → Je lui parle. I am talking to Marie / her. Je te rappelle que tu me dois 10€ ! I remind you that you owe me 10€ ! When we use a COD and a COI pronoun with the same action verb, then we simply put them together in that order. Je donne souvent des conseils à mon frère. = I often give advices to my brother. Tell me about your holidays. Give it to him ! The reflexive pronouns (les pronoms réfléchis) are used with pronominal verbs (les verbes pronominaux), and refer to the object of the action when it’s the same entity as the subject. In the infinitive form, the pronoun is the neutral (singular 3d person) : se. You’re looking at yourself in the mirror. Regarde-toi dans le miroir ! Look at yourself in the mirror ! The tonic pronouns (pronoms toniques) are the disjunct form of the subject pronouns. These French personal pronouns are called tonic because their pronunciation can be stressed, as they are used to reinforce a noun or pronoun. Moi, je m’appelle Lionel. Et toi ? (Me,) my name is Lionel. And you ? Pierre, as for him, prefers to walk. Nous ne regardons jamais derrière nous. We never look behind ourselves. Although the pronoun on is grammatically an adverbial pronoun, its usages are those of a personal pronoun ; therefore we chose to talk about it in this page. The pronoun on is a grammatically correct alternative to nous, its grammatical person is the 3d singular although it refers to a group various persons (that includes the narrator). Mon frère et moi, on vous visitera certainement mardi. My brother and I (we) will certainly visit you on Tuesday. Nous, on se parle carrément à nous-même. The pronoun on is used as a general way to refer to rules or usages (that doesn’t necesarily includes the narrator). It’s the equivalent to the English one, referring to a subject without a reality. It dosen’t have a COI or a COD form. En Angleterre, on boit le thé à 17h. = In England, they drink tea at 17h. = One doesn’t speak with the mouth full. Quand on est seul, on se retrouve avec soi. = When we are alone, we are with ourselves. Any tonic pronoun can be emphasized by adding the suffix -même which literally means “the same”. – Et moi, je suis Français ! – And me, I am French! J’ai un ami qui vient de Paris. I have a friend from Paris. – Ah ? Moi-même, je suis français ! – Ah ? I myself am French ! Besides, in certain cases, it’s just mandatory or forbidden, although it’s just hard to state a rule. Il se parle à lui à lui-même. Chacun pour soi-même pour soi. French grammar is a defined set of rules which guardian is the Académie Française, consequently any French speaker is expected to respect it literally. However, a language evolves along with the cultures and mentalities, sometimes by small integrations over time, sometimes by active propositions and projects of modification. For instance, there is a movement amongst non-binary people (who do not identify themselves as neither he or she) that calls to the integration in the language of another set of non-gendered pronouns. In Spanish, where the marks of the masculine and feminine are quite regular, one of these propositions unites ello (he) and ella (she) into one and unique genderless pronoun elle. In French, although it’s intrinsically more complex due to the number and types of pronouns, there are such propositions nonetheless. Et voilà, we reached the end of our lesson about French personal pronouns. You´re doing just fine, keep going ! In no time French will have no more secret for you. Next step : the demonstrative pronouns.